It’s crackin’ this summer for many of our compañeros here at La Pelanga! 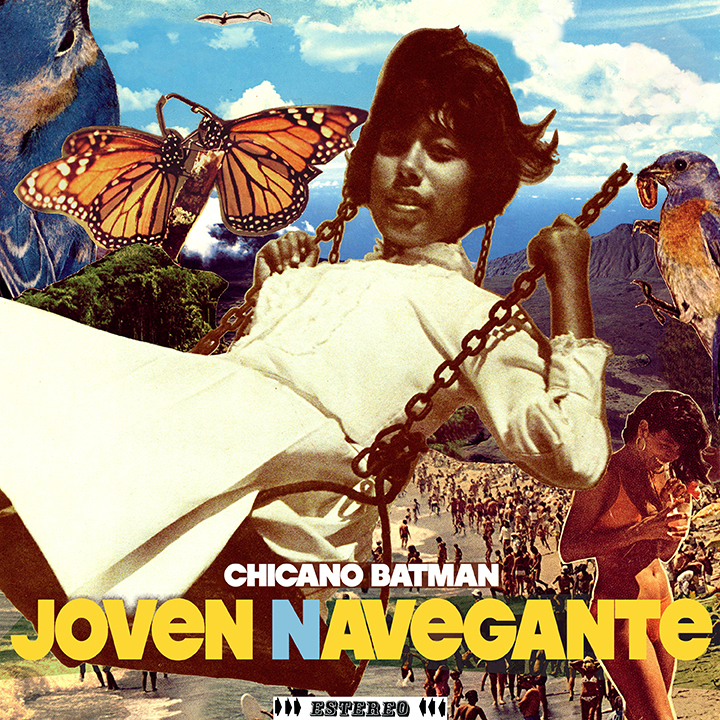 Just a week after futboling, singing, dancing, and breaking bread with Las Cafeteras on their recent trip to the bay for all the Copa Communidad festivities, the good homie Bardo rolled by the house to update me on the latest Chicano Batman project – Joven Navegante. After a hiatus filled with their individual travels and musical wonderings, these four Chicano soul brothers will be reuniting in their hometown of Los Angeles later this month to promote the recent release of their new four track EP Joven Navegante through a series of live shows and the filming of a music video for the EP’s title track. While at times their new recordings are reminiscent of their first full length self titled LP, as a whole Joven Navegante offers an even more exploratory effort, layering drunken wah wah guitar with psychedelic organ vamps, bouncing reggae bass licks, exceptional drumming throughout, and of course Bardo’s inspired vocals. Some true ear candy for the auditory freak and a perfect fit for any car trip to the sun! Check the EP’s title track below. To satiate the vinyl cravings of folks like myself Chicano Batman has launched a Kickstarter campaign to help raise funds for a proper 10″ vinyl pressing. Take a moment to watch their Kickstarter video and hear about what they’ve been up to. Real talk – they have some of best gifts I’ve seen on Kickstarter. To my folks in Southern California – pledge $250 and have Chicano Batman come thru for a pop-up beach party con music and fresh fruit! This entry was posted in PELANGA RECORDS! and tagged Chicano Batman, DJ Smokestack, Latin Soul, Los Angeles by Smokestack. Bookmark the permalink.